In order to be able to manage the modern day sales representative, managers have to understand and sympathize with the competitive landscape in which their subordinates operate. Business development is not what it used to be (obviously times have changed), however this is one of the first times when people have changed significantly with the era. 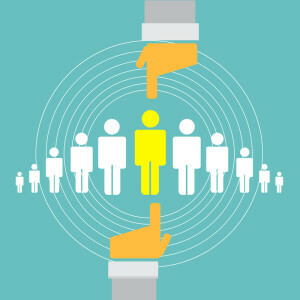 Companies in all different stages come to our sales management recruiters. Clients tell us they find value in our recruiting process because we have found it necessary to alter the interviewing process to individual searches and individual job seekers (and hiring managers), and we’ve built in steps so the process is accurate and in sync with modern day buying trends. The first is that each and every organization that contacts our firm has a desire to upgrade their business in some capacity or another. The second is the problem we see in some of the companies we cannot work with: they have not updated their vetting process to choose a recruiting firm that has modernized their recruitment processes, in apparent acquiescence to the fact that change in in business is never easy and often scary. KAS felt it was pertinent to touch upon three questions organizations should be asking the recruiting firms that they engage business with. 1. Which exact recruiters will be interviewing applicants and branding our hiring process? When you find a recruiter who is intelligent and established enough to manage high level applicants, your job as a hiring manager becomes substantially easier. This is not to mention that effective recruitment professionals possess the negotiation skills to procure a sales management employee at a reasonable price. As a corporation it is recommended that you are in direct contact with each individual who is representing your organization to the job seeking public. 2. How is that recruitment professional compensated, what is their title, and what type of professional recognition have they received? If a recruiter has the professional respect from applicants who are highly desired by employers, those job seekers will tend to favor those positions that head hunter is working on. Conversely, recruiters who have a lack of reputation or suffer from low compensation packages (which facilitates a feeling of low self-esteem) the hiring manager will suffer in a myriad of ways that could fill an entire article themselves. 3. How will the recruiting company position my business so the company is branded in a desirable fashion in order to successfully compete and recruit organizational difference makers? Recruiting is a game of sell and ask, where in order to obtain the relevant interview answers needed, a recruiting firm must possess a compelling pitch that paints their client in a desirable fashion. This is not the same process as copying and pasting boilerplate from the client’s website, and regurgitating it in a candidate interview. In the end hiring a recruiting firm who understand and embraces modern day sales methodologies is one of the few ways remaining to procure management who will not only sustain a company, but who will also grow it. Is Recruiting Sales Employees From Your Competitors Sound HR?